– In the north-west corner of Trafalgar Square next to the National Gallery. to the university so that participants can be let in to the building. We look forward to seeing you. Any small donation for EWI’s work will be much appreciated at the classes. Our workshops at the Jewish Museum attracted a diversity of people for the four creative writing workshops facilitated by Lynette Craig and in fact, were over-subscribed. The participants originated from Iran, Kashmir, Pakistan, Iraq, Afghanistan and Iraqi Kurdistan amongst other countries and got creative with Jewish people of diverse backgrounds. 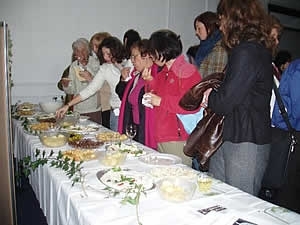 Further workshops took place in Artiquea. In both spaces the Jewish and Middle Eastern artefacts and narratives were utilised and hence the workshops were interactive. The aim was for the participants to be inspired, to celebrate the differences and respect them and ultimately see that we have more in common than not. Write to remember: things, places, people. Experiences such as those of persecution, dispossession and loss were shared. 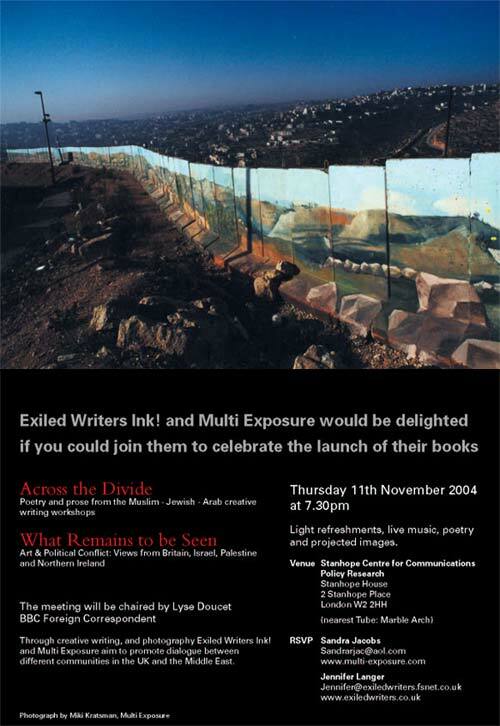 Exiled Writers Ink www.exiledwriters.co.uk is pleased to present:a special event as part of its ‘Across the Divide’ project. part of the ‘Across the Divide’ project bringing together Jewish, Middle Eastern and Asian people. The evening of performance by four writers of differing heritage, will provide insights into differences and similarities in cultural memory and experience and show that perspectives do not always conform directly to the religious identity of the writer. Lynette Craig was brought up in Birmingham, read English and Drama at university in North Wales, trained as a teacher and settled in London. When her children were small she began to write poems addressed to children, some being published in anthologies.As she continued to write, she was drawn to stories of her own and other Jewish families who had come to this country at the beginning of the twentieth century to escape persecution in Eastern Europe. This led to an interest in all peoples forced to leave their own homes: her themes are persecution, dispossession and the outsider. Lynette holds an MPhil in Writing from the University of Glamorgan. Her work is published in many poetry magazines and her chapbook collection, published by Flarestack, is called Burning Palaces. She is the Poetry Editor of the magazine produced by Exiled Writers Ink and regularly leads writing workshops for them. 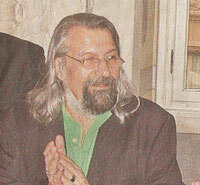 Born in Ankara, Turkey, 1935. Living in the UK since 1954. He is the author of the following novels: The Pleasure of Your Death (1972); The Last of Days (1983);Journey through the Wilderness (1989); Children of the Rainbow (1999), Young Turk(2004) and A Designated Man (2009). 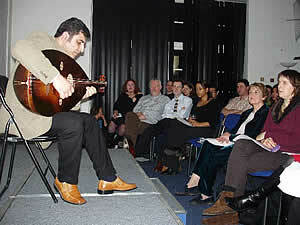 His collection of poems, Songs from two Continents, will be published in Spring 2011. 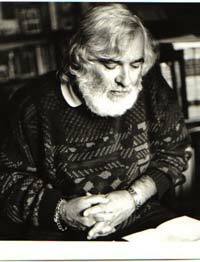 His works have been published in Arabic, Chinese, Dutch, French, Italian, Galician, German, Greek, Hebrew, Norwegian, Romanian, Polish, Turkish and Vietnamese. He is a Fellow of both the Royal Society of Literature and the Royal Geographical Society and a Vice President of International PEN. He was appointed an MBE for “services to literature”. Esmail Khoi is a leading Iranian poet living in exile.He has doctorate in philosophy from the University of London. After his return from England, he published a second collection, On the Galloping Stallion of the Earth. In the 1960s and 70s, as a founding member of the Writers Association of Iran, he opposed the restrictions on the freedom of expression under the Shah. After the Iranian Revolution of 1979, Khoi found the conditions even more oppressive under the Islamic Republic. He went into hiding, and in 1984 left his homeland for England, where he has been an outspoken opponent of the Iranian Islamic regime. Khoi’s publications in English translation include Edges of Poetry: Selected Poems of Esmail Khoi (edited by Ahmad Karimi Hakkak and Michael Beard, Blue Logos Press, 1995) and Outlandia: Songs of Exile (edited by Ahmad Karimi Hakkak and Michael Beard, Nik Publications, 1999). Was born in Jordan. 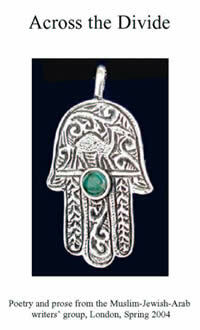 She completed her medical studies in France and worked as a doctor in Jordan and Lebanon. She has been involved for more than 30 years with the defense of human rights, peace and justice, in particular in the Middle East. Her previous publications include l’Oubli rebelle in French and Days of Amber in Arabic. She has translated several books from English and French into Arabic including La cause des enfants by Francoise Dolto. Her first collection of poetry The Prophets: A Poetic Journey from Childhood to Prophecy was published in 2007. Her second collection: River Daughter was published in 2009. Her third collection Daughter of the Thames will be published this year. She is recipient of several awards for her humanitarian and cultural work. Currently she is a committee member of Exiled Writers Ink and board member of English PEN. South African born Gillian Slovo is President of English PEN and the author of twelve novels and a family memoir, Every Secret Thing , which was an international best seller. Her novel , Red Dust , won the prix RFI Temoin du monde and became a feature film starring Hilary Swank and Chiwetel Ejiofor. Ice Road, set in Leningrad of the 1930s, was shortlisted for the Orange Prize. Her co-authored play, Guantanamo- Honor Bound to Defend Freedom played world wide. Her verbatim interviews with women politicians was part of the 2010 Tricycle Theatre’s Women, Power and Politics season. Lynette Craig, Her collection, Burning Palaces, (Flarestack), explores dispossession and persecution in her own family heritage. She holds an MPhil in Writing and leads poetry workshops with refugee groups and mentors and edits their work. Jennifer Langer: Her poetry on the complexity of identity, confronts difficult issues. She is editor of four anthologies of exiled literature including If Salt Has Memory: Contemporary Jewish Exiled Writers, Five Leaves, 2008. 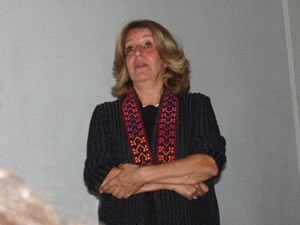 Fathieh Saudi, was born in Jordan and her collection of poetry is entitled The Prophets with other work including L’Oubli Rebel and Days of Amber. 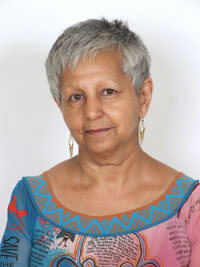 She is a recipient of several human rights awards and is Chair of Exiled Writers Ink. She completed her medical studies in France. Chair Jude Rosen: Freelance researcher on urban cultures and citizenship and interpreter, translator and poet. She is London co-ordinator of Windows for Peace. Kindly funded by Awards for All and The Kessler Foundation, The Across the Divide Roadshow consists of a range of events and workshops for Jewish, Muslim and Arab organisations and audiences as well as for those not intimately affected by the situation. The first event will take place at the Jewish Museum, Camden Town on 1st September at 7 pm and is entitled ‘Gaining an Insight into the Other’ with Ghada Karmi, Oz Shelach, Leah Thorn and Rabhi Al Madhoun with oud player and singer, Sahira Hussain. £5 & £4 EWI Members and Jewish Museum Friends. Booking in advance is essential: 020-7284 1997. We shall also be organising similar sessions with and for Muslim organisations. A one-day creative discussion and writing workshop with lunch for Jews, Israelis, Muslims, Arabs and Palestinians set in the Jewish Museum, Camden Town and at the Somerset House Islamic Exhibition ‘Heaven on Earth’, will take place on Sunday 26th September facilitated by Leah Thorn and Ali. Registration in advance is essential: 020-7284 1997. The launch of 2 innovative publications will take place on 11th November 2004 – the ‘Across the Divide’ booklet of literature and the Multi Exposure visual arts publication ‘What Remains to be Seen’. Aiming to bring together Jews, Muslims, Palestinians, Israelis, Arabs and all other directly affected groups/individuals to develop ways of ‘Writing Across the Divide’. and 020-8458 1910 to register. 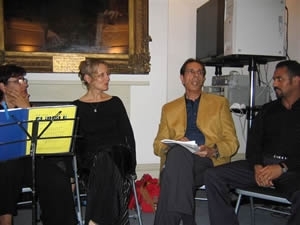 Palestinian writer: Samir El Youssef Novella contributor to ‘Gaza Blues’, published 2004 in conversation with novelist: Linda Grant – Winner of Orange Prize for Fiction, reading from ‘Suppose a City’ to be published in 2005. Chaired by Matthew Reisz, Editor of the Jewish Quarterly. followed by mixed facilitated creative discussion and writing workshop groups around roots, culture, identity, religion, anger etc. April 6th, 2003: the Iraqi war was still in full flow, Blair and Bush were sidelining into pushing for the ‘Road Map’ to peace between Israel and the Palestinian Authority. The chasm between Jew and Muslim, Israeli and Palestinian, gaped like a black hole. But in between the chasm and the pain, nearly 200 people arrived at the Brunei Gallery, at the School of Oriental and African Studies, to listen, to talk, to share, to lay down the girders for a bridge ‘Across the Divide’. Organised by Exiled Writers Ink! the evening was nothing if not controversial. Exiled Jews from Iraq mingled with Algerian writers, refugees from Bosnia and Saudi Arabia, Jews from London, Israelis, and Kurds from the torture chambers of Saddam Hussein’s regime. 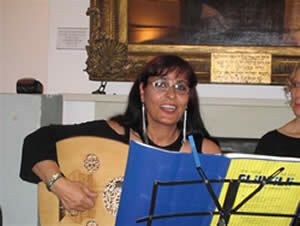 Chaired by Amanda Hopkinson from the Arts Council England, the audience were treated to a glittering array of readings, instrumental pieces and songs, offered by Israelis and Palestinians, willing to share a platform and sit together in peace and friendship. 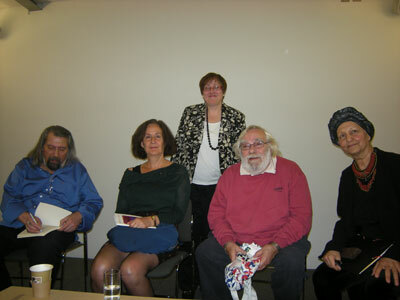 In the second half Moris Farhi MBE, Vice-President International PEN, chaired readings and an all too brief discussion, which continued long after the darkened halls of SOAS had been left far behind. The range and depth of work, which the audience were treated to, matched perfectly the eagerness expressed in multiple exchanges in the interval and a deep desire to tear down the barriers, which have arisen between these two great Semitic peoples. Judith Elkan, a child psychotherapist, posed the question, “Isn’t it time for all of us to say sorry?” Her message was one of repair and reconciliation, echoing the brave work in South Africa, after the fall of the apartheid system. An active member of the Israel/Palestinian Peace Coalition, her message was one of hope that bitterness and hatred can be overcome in these two societies. us an improvisation on the wind as a symbol of his desire to sit down with his Israeli neighbours and build a world where politics no longer exerts a destructive influence. Playing in total darkness, Boustany transported us on the magical wind of his beautiful music to a world where peace and friendship have swept away the pain of conflict. By contrast Gilad Atzmon, an Israeli jazz saxophonist and writer, challenged us to reject the idea of a two state solution. His vision was one country, Palestine, based on equality and democracy, where all the people of the region, Jews, Palestinians, Christians, Druze, Bedouin, will live together and share the ancient land. Through his music Atzmon works to break down the barriers between Israelis and Arabs. To watch his interaction with Boustany, who sat close and constantly patted his shoulder in agreement and friendship, was to feel that those barriers can and will fall one day, whether one or two states emerge. Samir El-Youssef, a well-known Palestinian writer, read the first chapter of a novella, which will be published in England this year, in the same book as several short stories by the Israeli writer, Etgar Keret. The writers and their publisher, David Paul, believe that such a combined effort could reveal the extent of similarities in the new forms of narratives emerging from both Israeli and Palestinian writers of a new generation. It is just this lack of narrative which urges Ghada Karmi to write. A Palestinian who has made her home in London, Karmi points out that the world does not really feel the pain and hopes of the Palestinians because of the lack of narratives emerging from her people. Just as the Jews wrote so extensively about the Holocaust and informed the world of their terrible sufferings, so Karmi exhorts the Palestinians to emerge from the shadows and create the narratives which will tell the world their story. Reading from her memoir, ‘In search of Fatima: a Palestinian story,’ Karmi leads the way which hopefully will be followed by many others. And finally Assaf Gavron, a young Israeli, army veteran and supporter of his country, while also keen to seek peace with his neighbours, read from his book which does not address politics, pain or suffering. Instead his story is about ordinary people, Israelis, who work in a removals firm in New York and get into trouble with the Ukraine mafia. Perhaps Gavron’s message is simply, in troubled times a writer must find his own voice and write what speaks to him. There is room for many kinds of artistic voices in the struggle to build a bridge. In between the readings and discussion Dafna Dori and her band provided songs from the Yemen and the Middle East to flavour the whole evening with the sound of love amongst ancient villages and the olive groves. A truly momentous evening, which will ring in our hearts and minds for many evenings to come. Exiled Writers Ink! have planned a series of future events to include an afternoon in June where participants will have a further opportunity to meet and develop dialogue with an Israeli and Palestinian writer, as well as join a writing workshop to give voice to issues raised. In the long term, a series of workshops are being planned to allow the different groups to write together in facilitated workshops with a view to producing a publication at the end. invite you to gain an insight into the ‘Other’, ‘Get Creative’ and improve your technique. The workshops will be run by Lynette Craig who holds a Masters Degree in Writing and whose poetry is published in magazines and most recently in a pamphlet collection entitled BURNING PALACES published by Flarestack. Please send your name and contact details – 10 places only!